In this week’s very special rant episode, Robert and I discuss Starbucks’ move into publishing with its hiring of a prominent Washington Post editor. We wonder if Nokia’s decision to launch a content marketing “campaign” with Wired magazine is a good idea, and ponder whether native advertising is an attractive new revenue stream for publishers – or if it’s making a deal with the devil. Finally, we question the Interactive Advertising Bureau’s (IAB) skewed view of the future of branded content. Raves include discussion of a valuable new formula to measure the impact of content marketing, and why podcasting needs to be evangelized to help it grow faster. 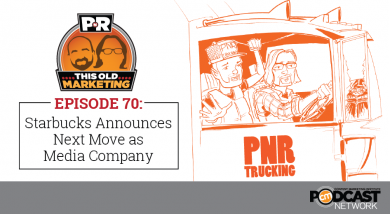 We wrap up the show with a #ThisOldMarketing example from Public Accountant magazine. Prominent Washington Post journalist quits to partner with Starbucks (3:18): Rajiv Chandrasekaran, a former Baghdad correspondent who co-authored a book on veterans with Starbucks CEO Howard Schultz, has announced he is leaving the newspaper to form a media company in Seattle. It will produce non-fiction projects about veterans and other issues that are important to the coffee giant. Robert and I applaud Starbucks’ willingness to take a risk on higher-purpose marketing, rather than treating it as a way to sell more cups of premium coffee. Nokia taps Wired for a content marketing campaign (10:15): Nokia’s technology division is paying Wired magazine to produce an editorial-style website called MakeTechHuman that aims “to start a conversation about where technology is taking humanity,” AdAge reports. Topics will likely include security, privacy, and jobs. Robert and I question this joint venture’s duration, which is only one year. Also, if the content is hosted on Wired’s website, Nokia is missing a big opportunity for audience growth. Don’t avoid native advertising just because it feels icky (18:20): Branded content and native advertising should not be ignored by media outlets just because it makes them feel uncomfortable, warns Justin Ellis, a writer for the Nieman Journalism Lab. Ellis was speaking as part of a panel discussion on new media at the SXSW Conference. There continues to be a lot of wringing of hands about sponsored content. Is it an attractive new revenue stream or is it making a deal with the devil? I believe every media company must reach its own comfort level with it. Why branded content is poised to take over (29:10): Adweek recently interviewed Peter Minnium, the IAB’s head of brand initiatives, to talk about the growth of branded content. He answers the question: will publishers, agencies, or brands create the best ads in the future? Robert and I caution that Minnium’s comments provide a one-sided view of the future, very focused on advertising. He doesn’t even touch on the strategy of building an audience using content. This Old Marketing is sponsored by DigitalRelevance, which increases search visibility, web traffic, and conversions by executing research-driven content marketing, digital PR, and SEO strategies. 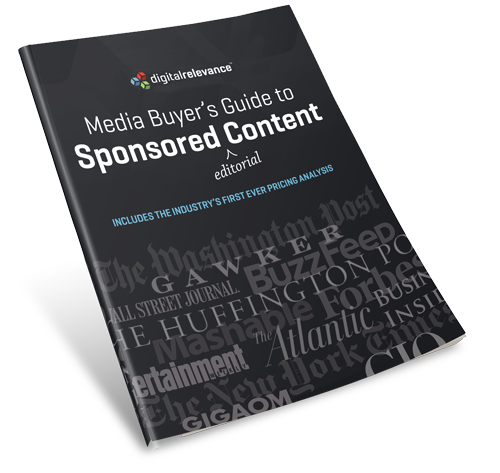 DigitalRelevance is offering The Media Buyer’s Guide to Sponsored Editorial Content. It includes everything you need to know about sponsored content, from evolution, controversy and regulation to execution tools and a proven buying strategy. It also includes the world’s first research study and statistical analysis to determine fair market value prices for sponsored content. Learn more at http://bit.ly/media-buyers-guide. Robert’s rave: Robert loves this article from AdvertisingAge, in which author Andy Frawley makes a compelling case for the idea that return on investment (ROI) is dead. It needs to be replaced with a metric that helps marketers measure the impact on experience and engagement. Frawley presents a new metric, ROE2, which stands for “return on experience times engagement,” that can help guide investment in content initiatives. His clear explanation of this new measurement tool aligns well with Robert’s research on this important topic. Joe’s rant: I think Tom Webster’s blog post, Is ‘Podcasting’ Holding Back Podcasting?, is a really interesting take on why this medium isn’t growing faster. 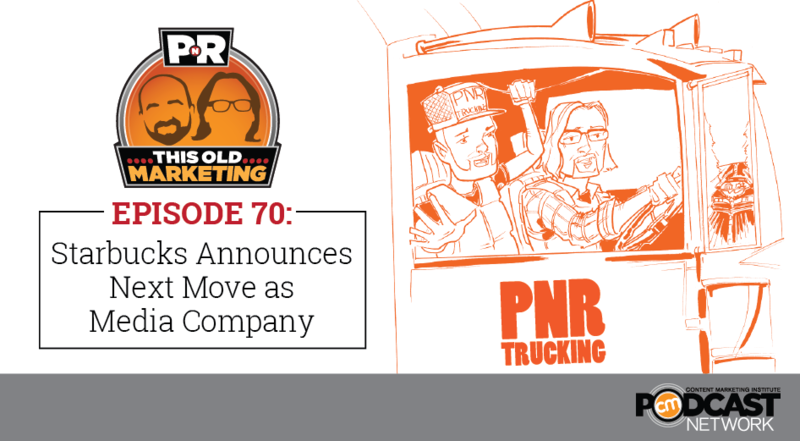 He believes it’s an awareness issue: Some organization or association needs to act as a unifying force, evangelizing podcasting and the benefits it provides – in much the same way as CMI united marketers around the term content marketing. Public Accountant magazine: The Institute of Public Accountants (IPA) is one of three professional accounting organizations in Australia. 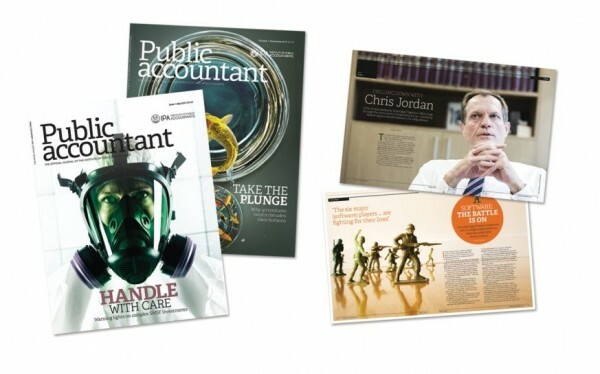 For the last six years, it has published a bimonthly print magazine called Public Accountant, which has 20,000 subscribers. It contains informative articles from industry experts on taxes, financial services, accounting standards, and professional development. In 2013, IPA launched the Public Accountant digital hub, giving members in Australia and overseas online access to the content from the print magazine, as well as exclusive web-only articles, videos, polls, and news on a more frequent basis. This is an excellent example of an organization that has gone beyond simply converting each print issue of the magazine into a PDF file. It provides IPA members with dynamic information and a knowledge tool they can share with colleagues and their clients. It’s an excellent example of This Old Marketing.